Amazon founder and CEO Jeff Bezos has given a tiny part of his $160 billion fortune (estimated in October 2018) to philanthropic causes, compared to other billionaires like Bill Gates and Michael Bloomberg, according to a survey by “The Chronicle of Philanthropy,” a Washington-based group that tracks giving. Bezos and his estranged wife MacKenzie recently pledged $2 billion to a new charitable initiative, however their previous giving has amounted to a total of just over $145 million – less than 1% of their net worth. Bezos has been giving donations mostly to the Bezos Family Foundation, a charity that was started by his parents in Washington state in September 2000, according to state incorporation filings. 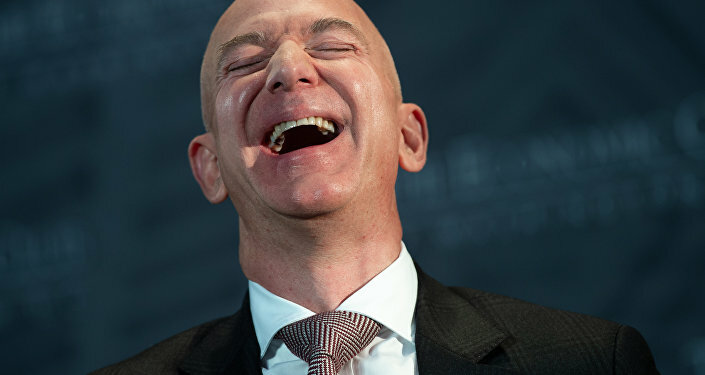 Yet between 2000 and 2017, Bezos contributed just under $6 million – a small amount compared to his parents, Jacklyn and Miguel Bezos, who contributed $30,266,250 in stock to their charity in 2017, according to tax filings for the group reviewed by The New York Post. Compared to other billionaires, Bezos is less of a philanthropist than other major donors, who signed on to billionaire investor Warren Buffett’s 2006 challenge to give half their fortune to philanthropy. Microsoft founder Bill Gates remains the most generous philanthropist in the US, giving out $35.8 billion — more than one-third of his current $96,3 billion net worth – to health, education and relief projects through his Bill and Melinda Gates Foundation since 2000. Former New York Mayor Bloomberg, who is worth an estimated $47.1 billion, pledged $1.8 billion to Johns Hopkins University, to be used exclusively for financial aid. He also donated a total of more than $6 billion to charitable causes, which is nearly 13 percent of his net worth. Facebook’s Mark Zuckerberg, whose wealth is estimated at $55.7 billion, has pledged to donate 99 percent of his shares in the social media site to charity. He has given away 4% of his net worth so far, according to the report. Donald Trump donated $102 million to charity – 3% of his $3,1 billion net worth. However, last year was a notable shift for Bezos as a financial donor, the New York Post reported. He asked his 700,000 Twitter followers for suggestions on the direction his philanthropy should take, and he recently gave $33 million to finance scholarships for undocumented immigrants who were brought to the US as children and $10 million to With Honor, a political action committee that helps veterans enter politics. He also announced last September the creation of the Bezos Day One Fund, an initiative to battle homelessness and support early childhood education, which has already given away $97.5 million to homeless charities across the country.